IN THE NEWS: Systems failure or black swan? Systems failure or black swan? Opportunistic politicians enact knee-jerk legislation to "fix" the "hole"
This process explains wave after wave of "memorial crime" laws, such as Jessica's Law, the AMBER Alerts, Three Strikes, and Megan's Law. Borne on a tide of moral panic, the symbolic laws are costly, have no impact on crime or public safety, and sometimes even backfire. These laws are implictly driven by "Routine Activities" logic. Under the Routine Activities theory of crime, crime results from a convergence of: (1) motivated offenders, (2) available targets, and (3) the absence of a capable guardian. So, goes the theory, you can stop heinous behavior by reducing opportunity. But this is an upside-down approach to rare events that are anything but routine, argue criminologists Timothy Griffin and B. Grant Stitt of the University of Nevada in an intriguing article in Critical Criminology. Far more logical and productive would be to interpet these events as statistical inevitabilities or -- as Nassim Nicholas Taleb calls them -- "Black Swans." Good public policies and sensible lifestyle choices can minimize the risk of serious criminal victimization, but not absolutely. Unfortunately, current American public policies such as child protection legislation are driven not by the realization of this apparently simple truth, but by its denial…. If public officials could embrace the grim reality that a certain number of certain types of crimes are inevitable, it could move the public discourse away from a futile search for a misguided solution and toward a mindset of rational problem management. The policy implication of random activities theory is that public safety officials and the general public need to be prepared to accept the fact that, for some categories of crime, there are few if any "‘solutions’" beyond what we are currently doing, and that our visceral reaction to 'Black Swan crimes' in the form of memorial crime control legislation is futile and possibly self-defeating…. [T]he proper application of random activities theory, rather than resulting in a depressing resignation toward tragic crime, could actually ... be liberating. Random activities theory could be a powerful heuristic in the public discussion of crime control because it enables experts to identify and categorize a class of crime that have stubbornly resisted repeated public attempts at suppression. It is a rhetorical tool that can defuse at least some of the excessive attention lavished on unavoidable crimes and allow the public discourse to move toward the preponderance of crime which is more amenable to public policy remedy…. In times of inexplicable tragedy, people cannot be faulted for taking what solace they can in whatever beliefs and comforts they can muster, but these are the arenas of religion, philosophy, and personal reflection -- not the justice system. The history of memorial crime control in the United States shows that whatever catharsis it provides is always short-lived. There will always be one more "Black Swan crime" to fuel reactionary demands for legislative response, and the failed policy cycle continues…. The message might lack visceral appeal, but most people do have, at some level, an intuitive appreciation of "‘acts of God," "adversity," or just plain bad luck. Unfortunately, while I am by nature an optimist, the brazen assault on rationality that is taking place in the United States at this moment in history may belie the authors' optimism in appeals to common sense. Citizens who cling en masse to superstition, stubbornly reject established science, and believe that our president is a Muslim are proving themselves fairly unamenable to sane discourse. I still recommend the article. 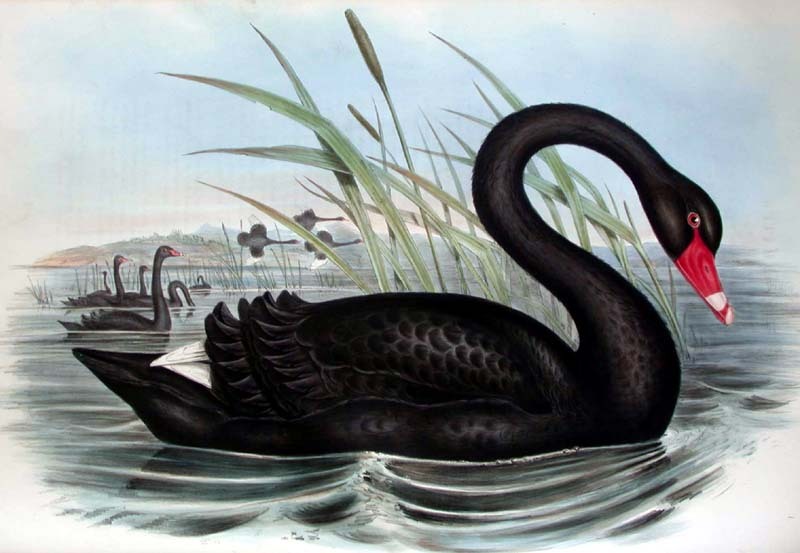 The abstract of the article, "Random Activities Theory: The Case for 'Black Swan' Criminology," is HERE. Request a copy of the article from the authors by clicking HERE (for Timothy Griffin) or HERE (for B. Grant Stitt). I found this an incredibly interesting article and was talking to a colleague around this very idea that unfortunately some crimes which might deemed heinous are unpredictable and unpreventable. It is futile to believe that we could ever abolish all crime and that unfortunately includes violent crimes which fall into the 'evil' category. This idea is very unpopular with victims lobby groups, talk back radio etc, but its a statistic that we have to live with. The victim lobby groups and talk-back radio pundits do not believe that we can abolish all natural disasters, such as earthquakes? An irony is that people choose to live in the most dangerous zones, such as an earthquake fault lines. Similarly, we ignore or even exacerbate the social causes of violence that actually COULD be controlled, reducing risk of crime. Great post, thanks, Karen - you go from strength to strength! I am curious if you feel that AB 1421 - Assisted Outpatient Treatment (Laura's Law)in California falls in the same category. By definition provided it does, but when you look at the three reasons in the Routine Activity Theory as noted: (1) motivated offenders, (2) available targets, and (3) the absence of a capable guardian. Then it says for RAT: "rational choice, ... situational crime prevention, and explanations for victimization that focus on lifestyles" I think there is an argument in favor of the law. A higher level of engagement, or earlier intervention by the community ie AOT for all Serious Mentally Ill who are or MAY become a MDO (Mentally Disordered Offender),simply might provide a more "capable gaurdian"
This same epidemiological model should be applied to hijackings, bombings of federal buildings etc. Yes, put a fence around great works of art but don't close them down. Our Nanny Culture has proved a major PITA to everyone on many fronts but has not prevented one terrorist attack. One has to weigh the cost of our fear industry against the actual, not perceived, benefits.